For me, the blessing and the curse of theatre are one and same. Namely, that it requires intense and complex collaboration between a large number of people. Often those people are complete strangers when the rehearsal process starts. There are no guarantees that everyone involved will be not only gifted, but fun to work with. 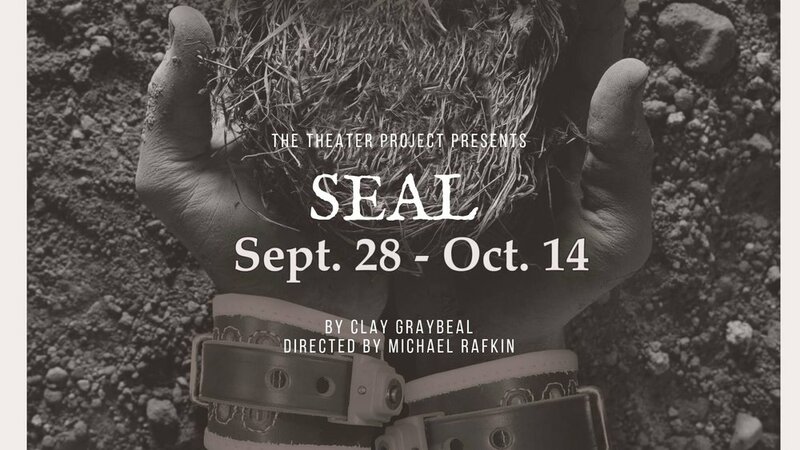 That is why, when Wendy Poole and The Theatre Project were excited about producing SEAL, I jumped at the chance. Most of my shipmates on this voyage are people I have known and worked with for 30 years or more. They are collegues and friends… creative and a joy to make art with. SEAL is a tricky play. It’s a theatrical thriller, but it’s also a moving examination of complex issues like mental health, PTSD, patriotism and morality. I am so grateful to be part of a team that thrives on this kind of artistic challenge. These are my friends, not strangers.This is Maine, not Broadway. And believe me, that’s a blessing for which I give profound thanks. I began writing plays twenty years ago at the suggestion of my wife, Deborah, an actor, who noted my frustration with attempting to describe and understand clients through traditional academic forms. I set aside my other projects, and began work on The Calling. It seemed to write itself over a period of five weeks, enjoyed critical success, and suggested I was on to something meaningful. SEALwas inspired by a young man I met when he was an inpatient in a psychiatric hospital. This is not his story, but rather what I imagined it could have been, and represents the voices of many individuals I have known and worked with throughout my career. The references to historical events in this narrative are accurate, and the political dimensions resonate with the present. One thing remains constant: old men send young men, and now women, to fight their battles, with profound and enduring consequences.